This program is current to October 2, 2018. Blocks in white occur in the plenary space (York University Student Conference Centre main conference hall). 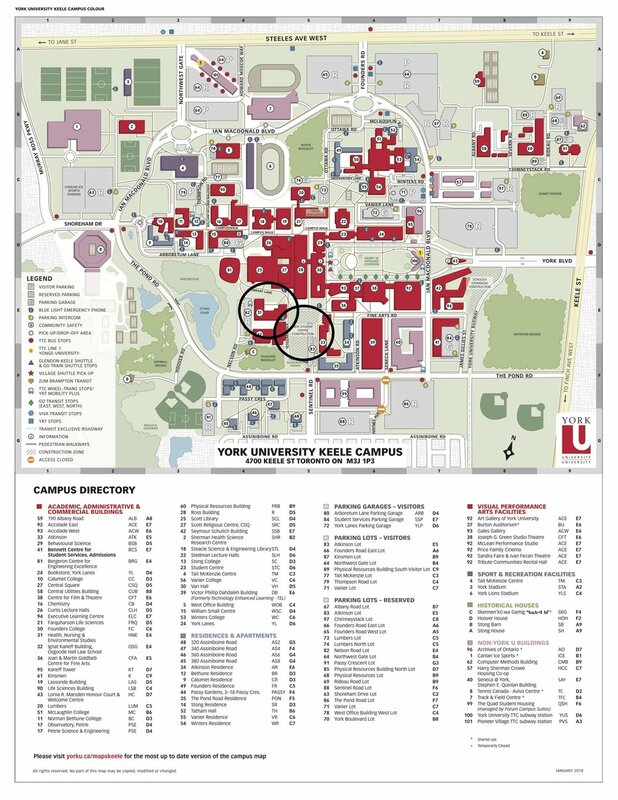 Blocks in grey occur in breakout spaces as noted (York University Student Conference Centre or the Health, Nursing and Environmental Studies building - see map below with these adjacent buildings circled in black). Blocks in purple take place off campus, as noted. To help us plan our time wisely and to ensure good participation in all groups, we ask that you pre-select the ONE breakout group you’d like to join. 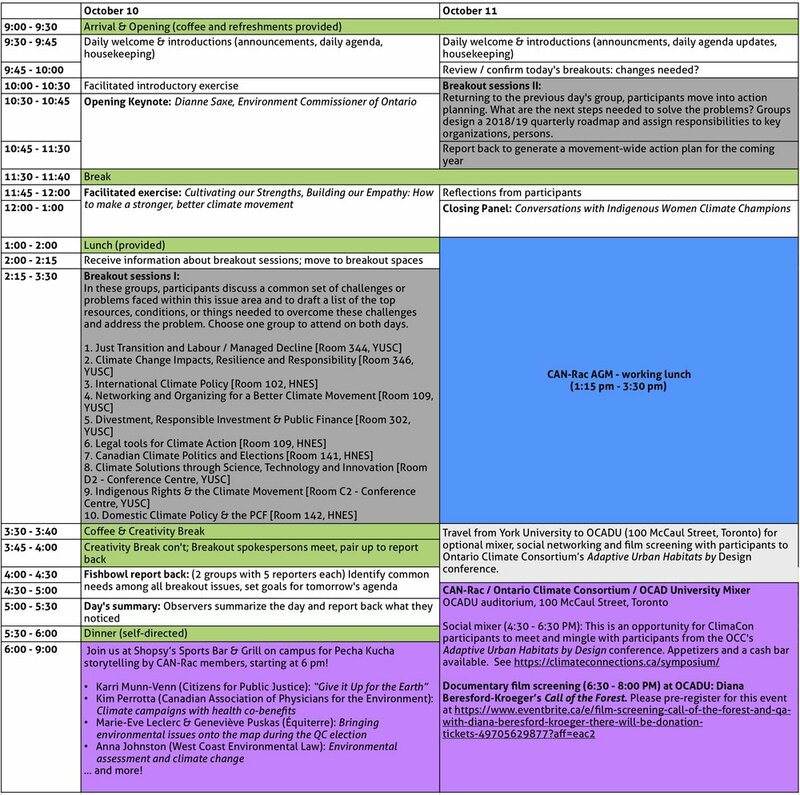 There are 10 topic areas listed in the schedule below. Click on the button below to register for one topic. You will join this group during both breakout sessions (October 10 & 11). On October 10, speakers will share information and on October 11, participants and speakers will collaborate on developing strategies and engaging in deeper discussions.